Seed germination is a complex process. Upon imbibition, many factors including phytohormones (gibberellin and abscisic acid) and reactive oxygen and nitrogen species [hydrogen peroxide (H2O2) and nitric oxide (NO), respectively] are involved in a complicated web of interactions. While there are some impressive recent progresses made in our understanding of these interactions, it is also of great interest to investigate treatments that help seeds with difficulties to germinate under unfavourable conditions including abiotic stress factors such as chilling and heavy metals. 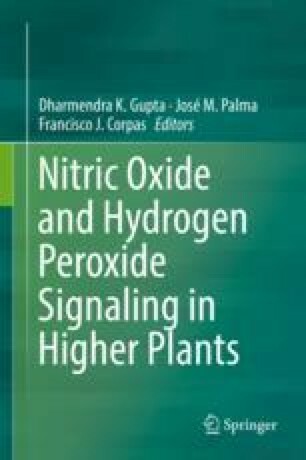 In this chapter, an update and critical interpretations of some recent investigations into the relationships among H2O2, NO, catalase activity and gene expression in cold stratification, light signal and abiotic stress are provided.